Heading to uni in Canterbury? Here is your definitive guide to Freshers’ Week nightlife in your new city. As a future student of either CCCU or UKC, you’ve made a great choice in choosing to study in Canterbury, not only thanks to the beautifully historic location and the academically sound universities, but the buzzing nightlife of course! While it’s very important to knuckle down and focus on your studies while at uni (yawn) it’s also equally important to kick back and relax once in a while, and where better to do so than at one of Canterbury’s many popular nightspots? With some venues uniquely for the city’s students and others open to anyone and everyone, some with a more intimate ambience and others an outright rave cave, there really is a place for everyone. You may be a Fresher yourself, but as a seasoned student of Canterbury I have done the hard work for you and can therefore say confidently where is worth a visit and where definitely isn’t. But hey, let’s focus on the positives! Keep reading for my take on the best of the bunch that is Canterbury nightlife. When it comes to Canterbury, it would be practically blasphemous to begin this article with anything other than Club Chemistry. Affectionately known by students as “Chem”, Club Chemistry is officially the city’s biggest nightclub, offering learners and locals alike the best in mid-week and weekend nights out, so it’s no surprise that Chem is the place to be during Freshers’ Week. Kicking off the week on Saturday 16th September is CC’s Freshers’ Moving-in Party; a great opportunity to meet some of your fellow Freshers with £2 drinks (to settle your new-uni nerves) and 6am close! After resting up on Sunday (ideally with a fry-up or roast dinner, take your pick) you can head back to Chem on Monday night for the Freshers Love Island Beach Party, featuring a visitation by none other than LI runner up Chris Hughes (are you banterin’?! Fingers crossed for an appearance from Cash and some epic bar spitting!). Expect massive tunes and free beach party props (so if you can’t find a flower necklace on short notice, it’s no big deal). Every Wednesday at Club Chem is student night; the city’s biggest and best student only event, and that doesn’t stop during Freshers’ Week, so if a late (or rather, early) close and deals on drinks is your cup of tea (or shot of vodka, your call) then this is the night for you. If you’re looking to kill two (or ten) birds with one stone, then Thursday night is not to be missed. Get to know your new city at Cloud9’s Freshers Town Takeover, which takes partygoers to ten of Canterbury’s best hot spots before winding up at Club Chemistry for the most epic of all after parties (not to mention a free Mc Donald’s thrown in to keep you going). As if that wasn’t enough, on the night of Friday 22nd you can experience your very first Friday Night Project as a Canterbury Fresher, which, as the city’s longest running club night is an absolute must. Then, at the end of the week, if you still have any energy left in you (and a round of applause if you do!) you can top off your FW experience by heading down to Club Chemistry’s Freshers’ Week Closing Party, but don’t worry! They promise that they’re only just getting started! If you prefer slightly more laid-back nights out in a bar-come-club atmosphere (where the music is equally amazing, you can just wear comfier shoes!) then Steinbeck & Shaw is probably the place for you. Their Freshers’ Week events kick off on Saturday 16th September with S&S’s 2nd birthday party: 50% off all drinks before 11pm? Yes please! And forget Sunday being the day of rest: head back to S&S on Sunday 17th for their Official Freshers Moving in Party; with cheap drinks and live DJs, what is not to love? Now, we all love a house party and as newly-turned adults (farewell teenagehood) we’re forever complaining that nobody holds them anymore. Enter Steinbeck & Shaw! On Wednesday 20th, you can celebrate being officially half way through your first week at uni at S&S’s Freshers House Party! Inspired by the legendary Project X (and who didn’t want to be at that party, right? ), you now have the opportunity to experience it for yourself (without the danger of absolutely destroying your own house and risking your parents’ sanity in the process). Head over to these events and Steinbeck & Shaw will quickly become your new favourite place to party! Students at UKC get to make the most of their very own on-campus nightclub, The Venue. Don’t be fooled; its academic location doesn’t make it any less of a good nightspot, with frequent themed nights and student-friendly prices making it one of the most popular clubs in town. What’s more, The Venue has lined up some amazing events for Freshers’ Week, starting on Friday 15th September with their Official Opening Night which, being in association with Student Republic, is sure to have Freshers’ Week going off with a bang! The first weekend of FW is jam-packed at The Venue, with their Saturday Welcome Party and Sunday Freshbook Event, so what better time to go and meet your new fresher friends? Tuesday takes things to a whole new level when The Venue hosts their completely unique International Party, immersing students in a rich multicultural environment in celebration of the diversity of UKC students, so if you can fiesta with the best of them then this is an event not to be missed! Kick it old school on Wednesday with your very first taste of weekly event “Vensday” which during FW has a School Disco theme, and who doesn’t love a bit of fancy dress to break the ice? Head back to The Venue on Friday for their NXT Freshers Event, which takes the proud title of being the largest and busiest student event in Kent, playing genres from RnB and grime to hip hop and house, with the serious potential for some VIP guests. Speaking of VIPs, if your partying needs are still not satisfied come the weekend, The Venue is holding its very own Freshers Ball on Saturday 23rd September: with massive names like Professor Green and Imani Williams making an appearance throughout the night, this event is the only real way to say a final goodbye to Freshers’ Week. You shall go to the ball! 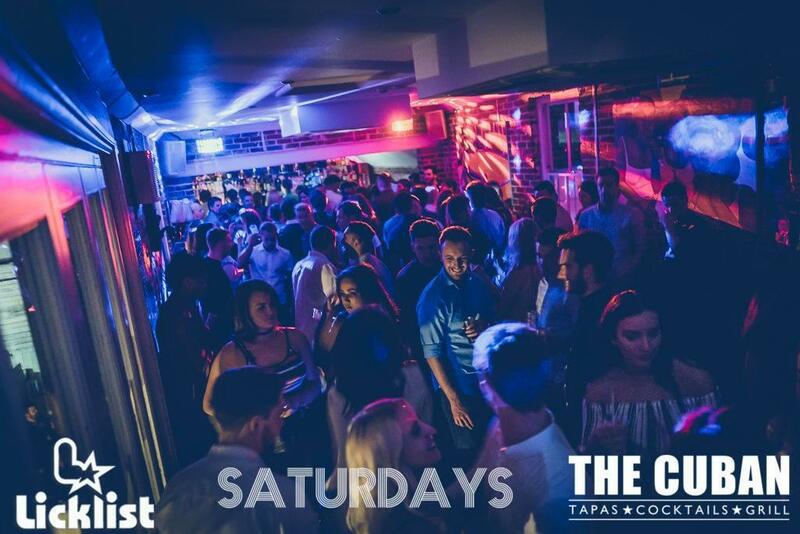 The Cuban is one of Canterbury’s most popular and prestige nightspots. There is never a dull moment at The Cuban, which offers delicious food and cocktails during the day and transforms into a three-floor clubbing extravaganza by night. Resident DJs and regular guest artists make The Cuban a completely unique and consistently in-demand venue, so giving it a visit during Freshers’ Week is an absolute must! Events last year included Freshers Launch Parties, Rum & Bass and a Societies Rave, so keep an eye on social media for this year’s selection, which is sure to be as explosive as the last! In deciding to study in Canterbury, you have chosen a truly sociable and student-friendly city, so make the most of it! Head to the above venues’ social media pages for event and ticket details, and remember to stay safe, have fun and make some incredible memories.